CBOSS Development International is a developer of innovative convergent IT solutions for end-to-end automation of telecommunications businesses, giving a competitive advantage to telecom operators. CDI offers a full range of equipment, systems and application software, professional services, including consulting, turnkey implementation, technical support, staff training and IT outsourcing, providing telcos with guaranteed operations quality while minimizing operational and capital expenditures. CDI supplies operators, service providers and MVNOs with all components of integrated IT infrastructure and/or services, as well as with full-scale outsourcing options, providing a reliable single point of responsibility. 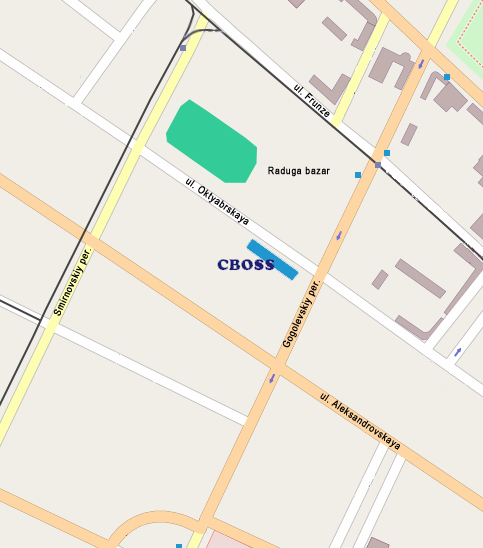 Many telecoms have opted for the unique functionality and scalability of CBOSS solutions. CDI is an independent private financially stable closed joint stock corporation that is not exposed to any risk associated with shareholders or external influence and control, which makes its decisions absolutely independent, impartial and incorruptible. To enable cutting-edge production, specialists of the enterprise make use of the latest achievements in software and hardware industries. 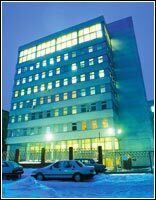 The computing center built by CDI proves the most powerful among software developers of the Eastern Europe. All the CDI products are certified; all the business processes have been tested to comply with the ISO 9001-2008 international standard and with the GOST R ISO 9001-2008 Russian national standard. Certification audit was conducted by 'Bureau Veritas Certification', an international audit company. CDI has partnership alliances and cooperates with Oracle Software, HP, Dialogic, Hitachi Data Systems, Symantec, Microsoft, Eaton, Cisco, etc. CDI possess the highest partnership status of both Oracle Software and Oracle Hardware. Since 2007, HP and CDI have been collaborating under the OEM Agreement. CDI applies state-of-the-art technologies not only in the IT development area, but also in the enterprise management field. This is one of the CBOSS fundamentals, enabled by utilization of in-house solutions, such as Management Information System CBOSSmis, Telecommunication Management Network CBOSStmn, Decision Support System CBOSSdss. The solutions are the main drivers of efficient enterprise management for rapidly growing companies involved in diverse activities. To achieve the educational goals, the enterprise uses its Training Center. Classes with PC-enabled workplaces are equipped with state-of-the-art projection, audio and video facilities. Training Center grows along with the enterprise, its training capacity increases, educational programs develop, thus widening the opportunities of high-tech training for IT staff.